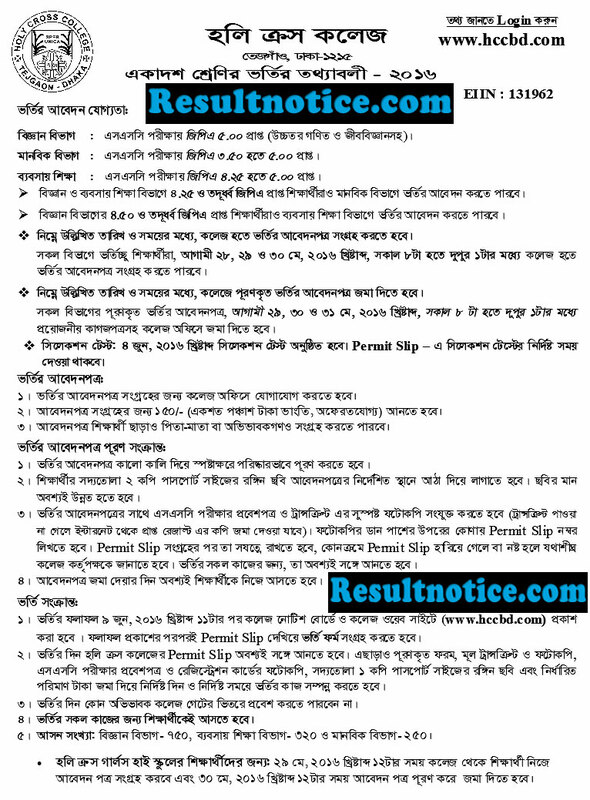 HSC Admission Result 2018 | www.xiclassadmission.gov.bd. SSC Result 2018 has been published. Now it is time for the SSC passed candidates to get themselves admitted to the good colleges for Higher Secondary Education. HSC Admission 2018 online application procedure will be started from 13 May. 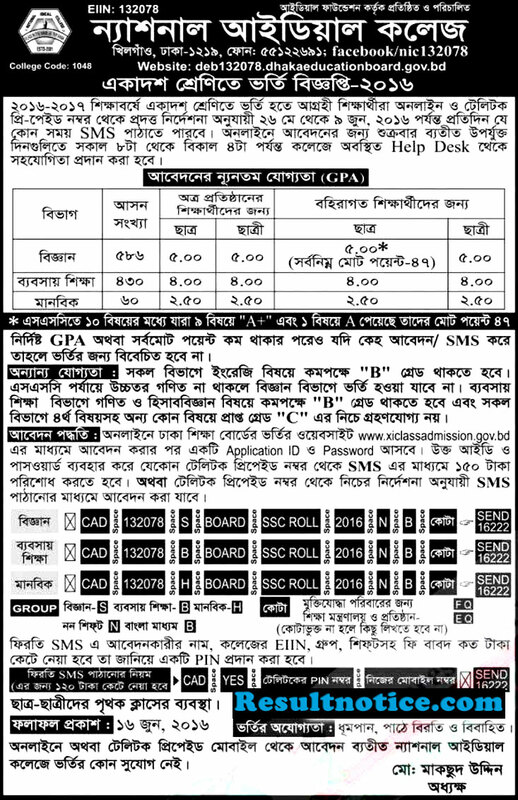 HSC Admission Circular 2018-19, online application process, SMS application process, HSC Admission Result 2018 will be found here. 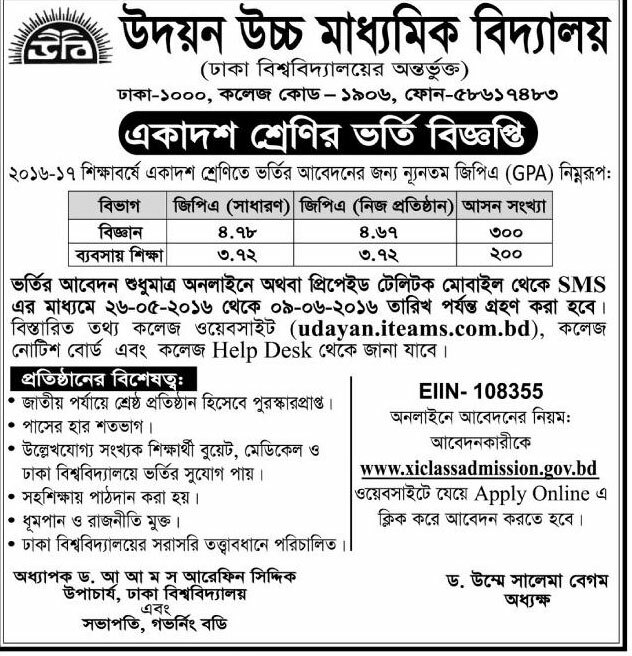 The HSC Admission 2018 procedure is controlled by the Education Board Bangladesh. 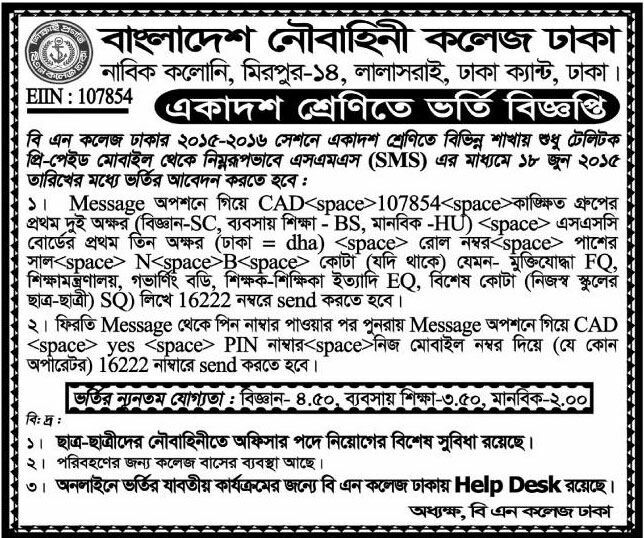 The education board Dhaka, Rajshahi, Chittagong, Jashor, Cumilla, Barisal, Sylhet and Dinajpur will publish HSC Admission Circular 2018-19 in their official websites respectively. According to “HSC Admission Curriculum 2018″ no admission test (Neither written test nor viva voce) will be held. SSC GPA will be the only parameter for admission in colleges. GPA will be the only parameter for admission in colleges. Students can apply for HSC Admission 2018-19 in two methods. One is online based on the official website and another one is SMS based through Teletalk mobile operator. Online Application Start: 13 May 2018. Online Application End: 24 May 2018. HSC Admission Result 2018 1st Merit List Date: 10 June 2018. Students can also apply from Teletalk mobile SMS. But it is a costly process. 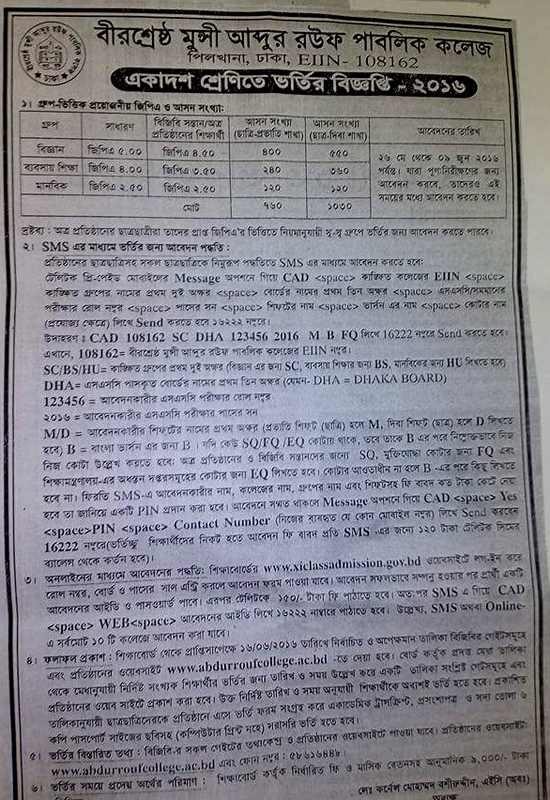 If a student applies through Teletalk mobile SMS he/she will have to pay 120/- for each college. That means total cost will be 10X120=1200/- where as you can apply for ten colleges at a cost of 150/- only through online. In reply an SMS will be sent with a PIN No. If you agree then send the second SMS using the PIN number. HSC Admission Result 2018-19 will be published on 10 June 2018. HSC Admission Result will be updated here just time. Like Our Facebook Fanpage facebook.com/resultnotice to get the latest news of HSC Admission Result 2018 and get future updates. 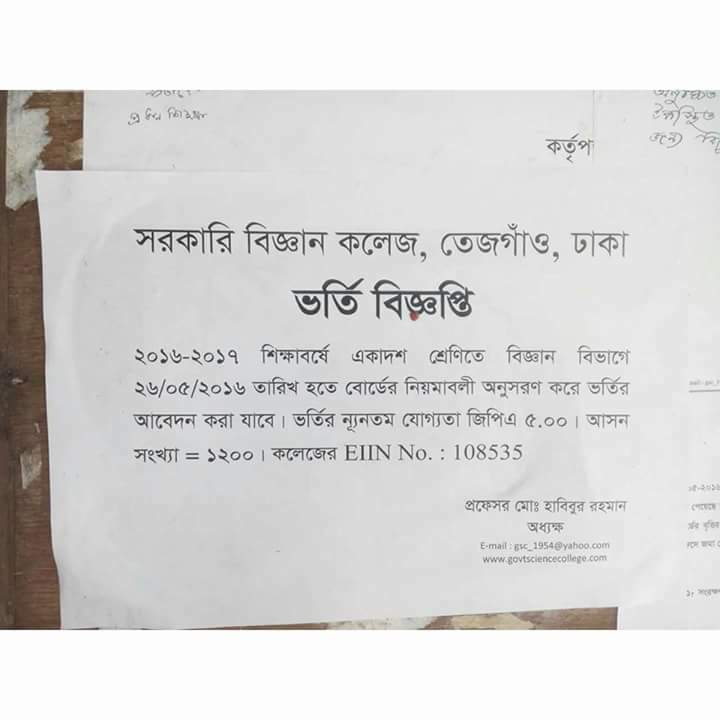 This entry was posted in Admission, HSC Admission, Result by Result Gov BD. Bookmark the permalink.